We're making it even easier to upload images in Palaver. 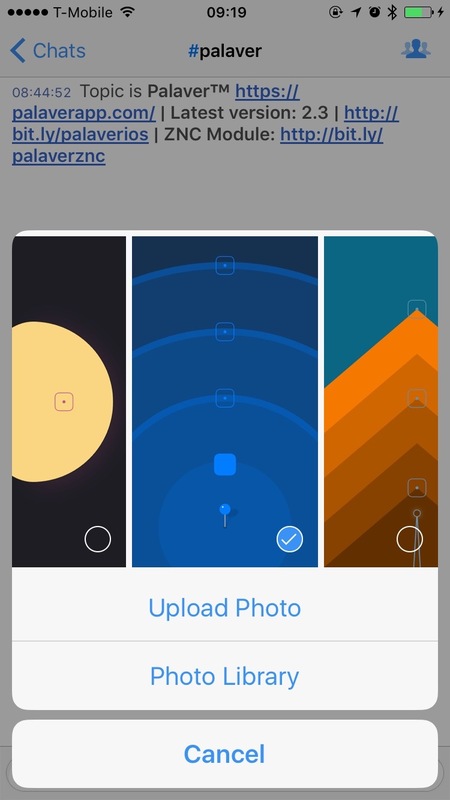 Version 2.4 brings a new image picker so you can upload recent images directly from Palaver. Upload recent images directly from image upload instead of going into your camera roll. Open links from messages inside the app instead of jumping out to Safari. Palaver will no longer display channel topic when reconnecting multiple times. Performance improvements with channel lists via /list . Fixes an issue where push notifications may not work after restoring your device from a backup. Various improvements to improve the experience of using Palaver on iPads, including fixing issues you might've faced when switching to Palaver via iPad Split View. Palaver will now use a monospaced font for message timestamps, this improves the alignment of messages. We no longer grey out messages when they come from ZNC buffers.